Just a quick announcement that I have a pattern for sale, officially! woohoo! 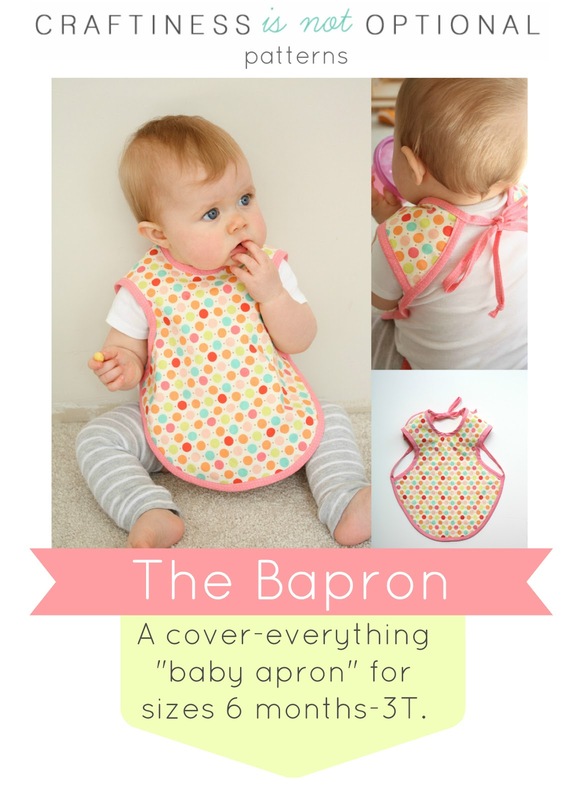 It’s the Bapron pattern-and it comes in two sizes now-up to a 3T (or 4T if your kiddo is tiny like mine) which works great as an art smock! Buy it here! You can still purchase a license to sell here. Thanks for your support! p.s. a big Thank you! to Melissa from Melly Sews for her fantastic digital skills! and Laminates for the fabric in the art smock above! CONGRATULATIONS!!!! I’m super excited for you, Jess! I know the Bapron Pattern will be a huge success! I bought it! 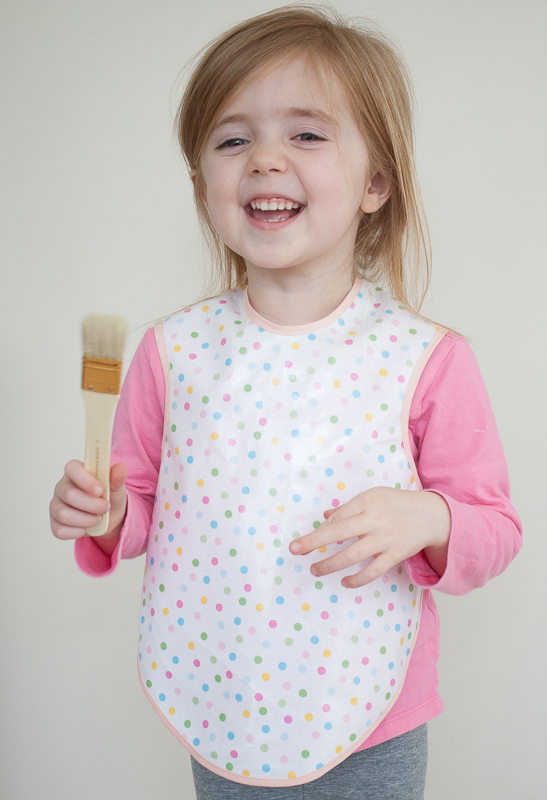 Even though I think I had the original from your old tutorial, I love this bib for my kids and make it for gifts a lot, so want to support your hard work in putting it all together. Excited to make a big size for my older one too- Thanks! Love everything you do. Congrats!!! I love the baprons I’ve made and get so many compliments. This is a great idea! Stopping by via NapTimeCrafters! Love your blog & your cute girls! I think Miss Charlotte’s Easter dress turned-out lovely & I am amazed at your fun stamping projects! Addicted! Congrats!! I’ve made a few of these in the past as well and really love the pattern! You need to remove the word “free” from your page posted on Pinterest. That is false advertising. The Bapron pattern is not free. Please make the adjustment. I have no control over the old pins on Pinterest, sorry. Hey could you email me when you get a chance? I ordered the commercial copy of the pattern and had a question that I don’t feel would benefit everyone to be asked publicly. Are you able to purchase this pattern still? Hello! I love your pattern, and I just purchased it via your website. I noticed that you have a type-o in your ‘personal use only’ disclaimer: ” You may not sell, copy or redistribute this pattern through any means. You may sell items you personally make from this pattern; no manufacturing or mass production, please purchase a license”. You might want to change that to “You may NOT sell items you personally make from this pattern” 🙂 Unless, I misunderstood…. Thank you! Love your site; very inspiring! I want to make this for my grandson and with the larger sizes the older two also! Appreciate your time and effort put into this. I will gladly pay for the pattern! Your pattern was obviously published long before they introduced this pattern in January (I received an email introducing their new bib set on 01-05-2016, and its featured on their blog abound the same time). Since you both have Etsy shops perhaps you can start there. Many years ago, they helped me resolve some copyright issues. I emailed you a question after purchasing the bapron patter/tutorial on Etsy. Maybe i’ll get a response here instead. I am new to sewing and was wondering did you prewash bias tapes and fabrics prior to cutting? I bought fabric quarters, flannel and pre-made bias tapes from Joann. I look forward to your reply.